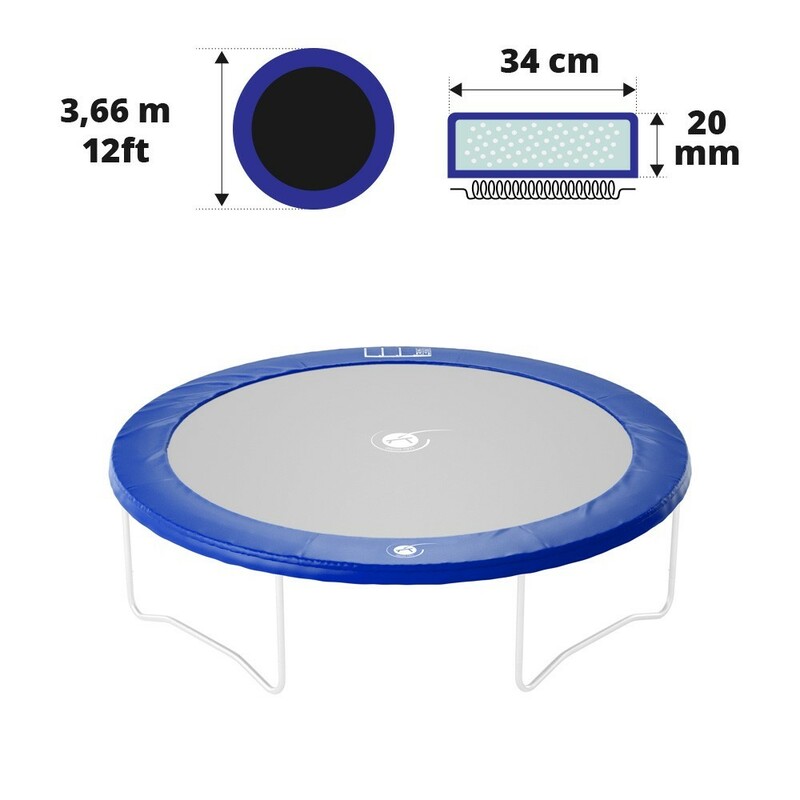 Resistant blue frame pad for your recreational 12ft / 360 trampoline. Quality spare part for your 12ft / Ø 366 trampoline. Safety on a recreational trampoline is essential for any trampoline owner. It is recommended to check the components of your trampoline regularly. The enclosure, the jumping mat and the frame pad are the first components that can be easily checked. If they are damaged they should be replaced for optimal safety. - This spare part can be fixed to your 360 trampoline from the Hop, Jump’Up, Access or Oxygen range. 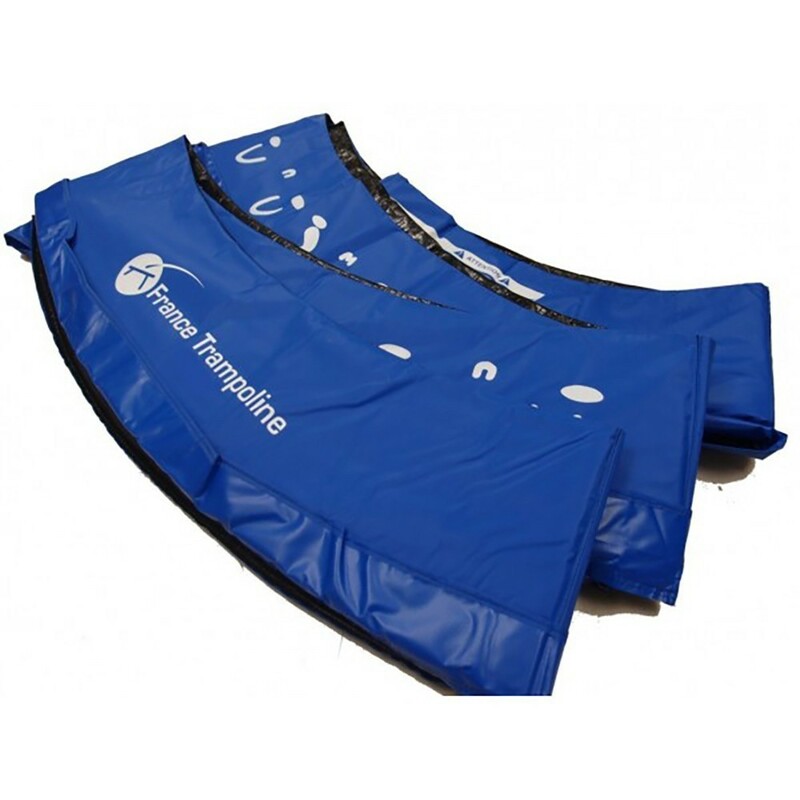 If your trampoline is not from our brand, then do not worry, this frame pad can be fitted to any trampoline, if it has a diameter of 3.66 m and if the springs are shorter than 180 mm in length. - It's monobloc foam is made from expanded polyethylene, which is more shock absorbant compared to thin strips of foam, which can move around. It is 25 mm thick, very resistant, waterproof and flexible, we guarantee a quality frame pad. - The frame pad is made from a foam monobloc, contrary to many other pads on the market, so it will not disintegrate on the slightest impact. 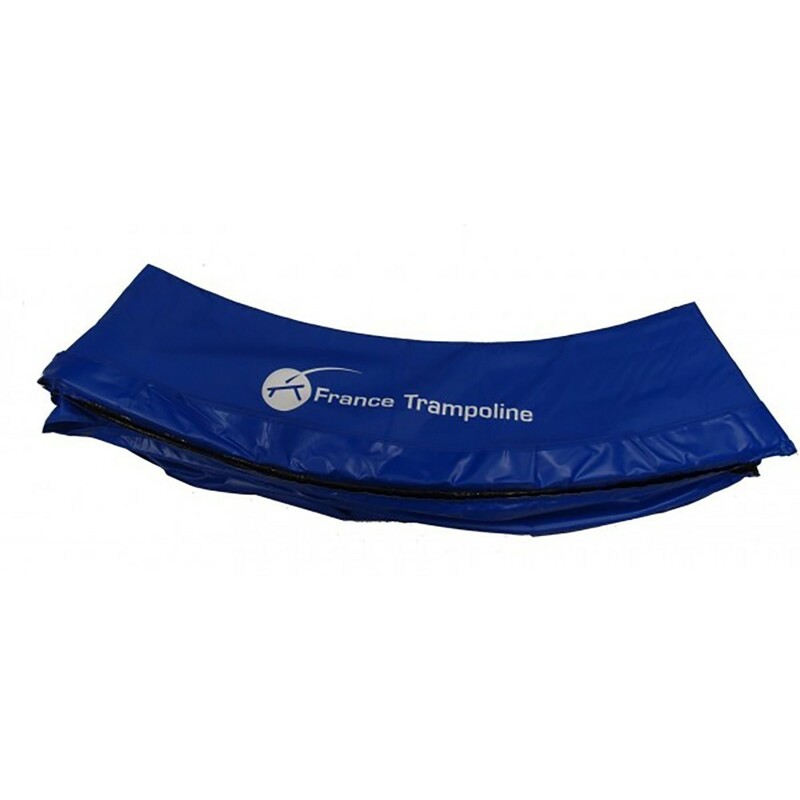 - This frame pad can remain outside all year round, on your trampoline, thanks to its thick, technical PVC coating (650 g/m²), which has been UV protected. It is fully protected against tears and the weather. Bien mais le bleu c'est moche. En vert c'était moins voyant dans le jardin. Produit super. mieux que celui d'origine que nous avions. très bonne qualité. Meilleure que ce que nous avions avant.